Browse Artists and Groups Lawren S. Harris, C.C., LL.D. Introduction by Charlie Hill, C.M. Tom Thomson and the future members of the Group of Seven were the most influential artists working in Canada in the first decades of the twentieth century. 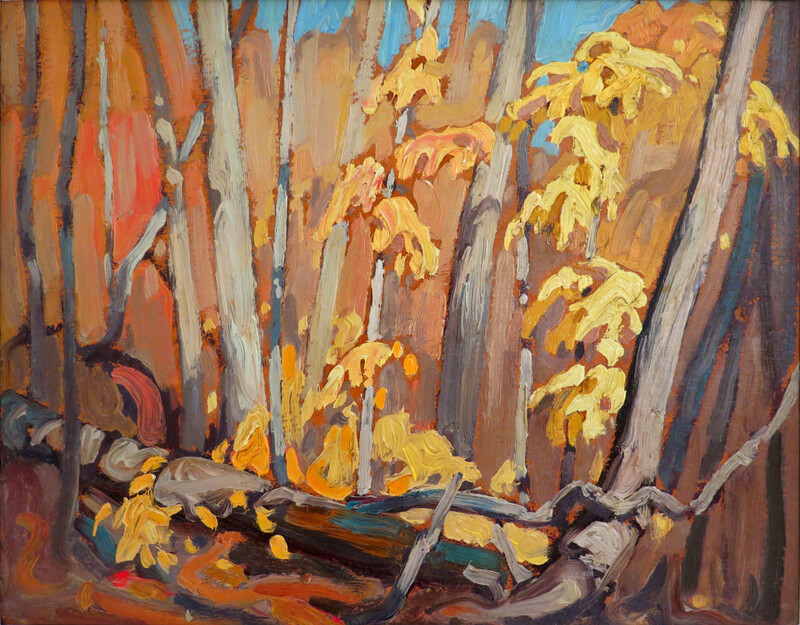 Their bold experimentation and engagement with Canada's many landscapes were the tools to foster a uniquely Canadian art that would, in turn, further the development of Canada as an independent nation. Though their lives and art were closely intertwined, individual artists emerged as the creative forces at different moments in the history of the movement. Tom Thomson first revealed the northern Ontario landscape to his fellow artists but his all too brief career was cut short in 1917. J.E.H. MacDonald became the public spokesperson for the fledgling movement prior to 1920 and in the 1920s A.Y. Jackson, Arthur Lismer and Lawren Harris articulated their shared goals and ideals, both in word and paint. But Lawren Harris played a special role in the history of the movement. He was the catalyst for new directions and, of all the artists, the most experimental. It was Harris who co-financed the Studio Building as a home for the fledgling movement in 1913. It was Harris who first painted in Algoma in 1918 and participated in the first painting trips to the north shore of Lake Superior in 1921 and the Rocky Mountains in 1924. His travels would eventually take him to the Arctic with A.Y. Jackson in 1930. And it was at Harris' home that the Group of Seven was established in the spring of 1920. There are distinct and varying subject matter in Harris' art beginning with his first city canvases painted before the First World War, a theme he would continue to treat up to 1930. Decorative compositions of snow bound trees preceded his paintings of Algoma and of Lake Superior that were in turn followed by compositions of mountain forms and Arctic peaks and ice. Yet, at the same time, the subjects overlap and there is a logical development from an Impressionist-influenced art to a more geometric treatment of idealized forms and eventually to abstraction. Please send me more details about the following artist. Lawren S. Harris, C.C., LL.D.